Once the snow had melted, Magenta discovered another oddity gracing her front lawn. 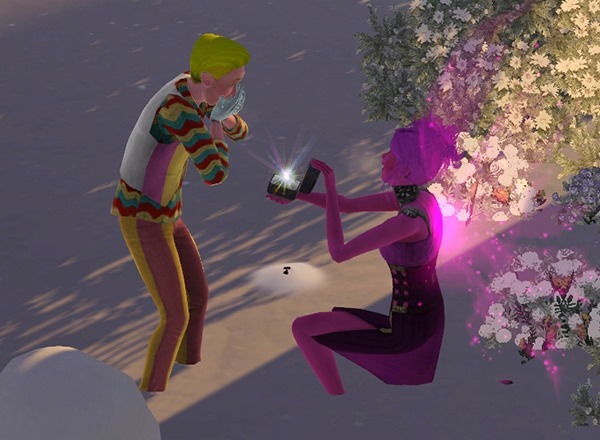 The gnome had seemingly appeared from nowhere… But since Magenta managed to sell him for nearly 1,000 simoleans, she wasn’t complaining. Now, to plan for the wedding! 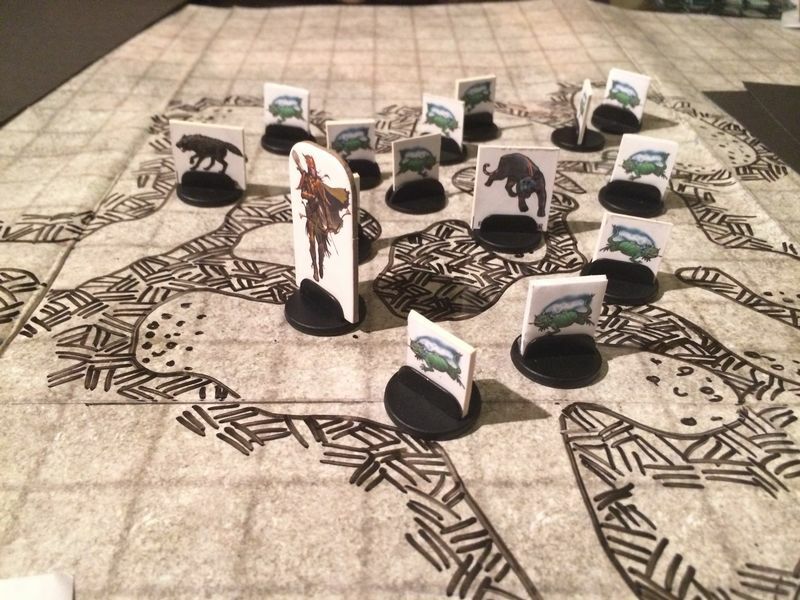 Google Docs has made a huge difference for my GMing, and I recently came across some awesome templates that others have created. There are quite a few out there, but these PC Character Sheet templates ended up being the ones I used for the PCs in my gaming group. They now all have digital character sheets, which actually helped us spot some errors on the paper character sheets. It took a long time to convert each PC’s paper character sheet to the digital one, but I’m hoping it will be worth it in the long run. I’m forever making NPCs for my campaign, and creating stats for them, even when said NPC doesn’t even need full stats… So I created an NPC stat block template in Google Docs to make it easier for me to create them on my iPad or wherever. After her harrowing encounter with the zombie, Magenta decides to get some fresh air and heads to the festival grounds. 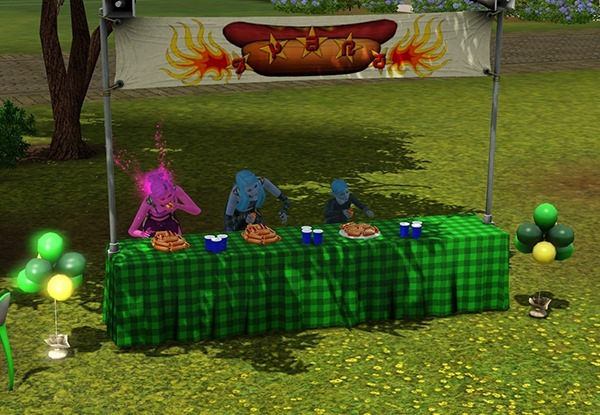 Here she takes part in a hotdog eating competition to drown her sorrows and fill her tummy. More disturbing than the way the three contestants ate in perfect synchronisation was the fact that the blue-haired kid actually won. After losing to a child in the eating competition, Magenta starts scouting the park for prospective mates. Eventually she meets Quinn, a journalist who also happens to be a werewolf. 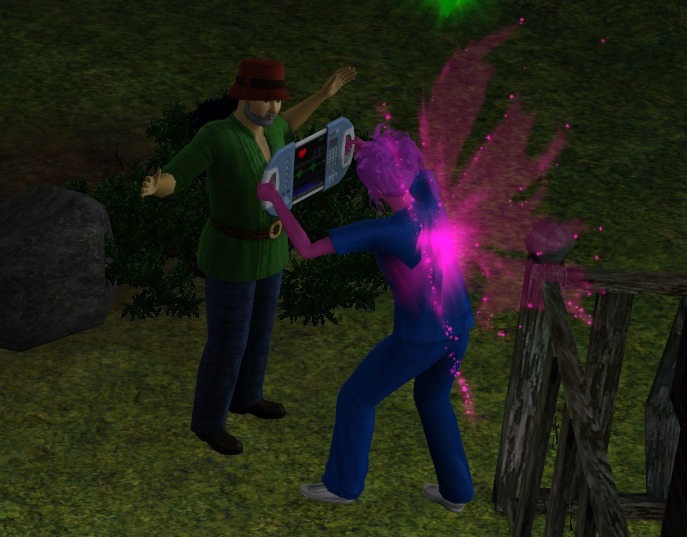 However, he’s the very first single Sim that Magenta has encountered, so she reckons he’ll do. Also seen in the image above is the secret to Magenta’s slightly increased wealth: wildflowers. These sprout up all over town, but are particularly prevalent in this park. 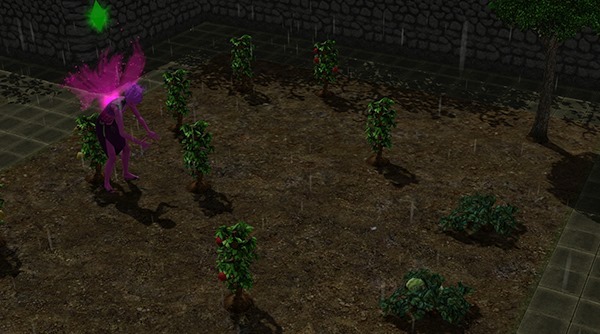 As a fairy and possessing the gatherer trait, Magenta is happy to spend hours picking these, selling them for a little profit (the rarer flowers can earn several hundred simoleans each). With her wildflower profit, Magenta is able to upgrade her home a little bit. She now has a fridge, sink, bookshelf, chair and an outdoor shower. Plus, she was even able to afford a fairy house, where fairies can sleep and hang out drinking pollen punch and throwing wild fairy parties. Meanwhile, things are not going so well for Magenta’s aspiration of being a magnificent gardener. In fact, after attacking her the other night, the zombies at the one little plant she had managed to buy and plant outside her home. She’s since decided to wait until she can afford a greenhouse (and perhaps, a proper house for herself) and do her planting indoors where they will be safe from the zombies and the elements. In the meantime, she’s honing her gardening skills in one of the ‘parks’ in town that just happened to be full of fruit and vegetables waiting to be harvested. Magenta Smith is a Sim of humble origins who plans to leave her mark on the world of Dragon Valley by establishing a long line of descendants. Ten generations, to be precise. The first order of business is of course building somewhere to live. Her limited funds translates into a miniscule home with the barest of furnishings. Even with her low expectations, however, Magenta is still not very impressed with what she’s ended up with… Which means it’s time to find a job. As soon as the paper arrives, Magenta takes a job in the Science career track. She then spends her first few days living off picnic baskets left unguarded in the park, and taking her showers at the gym. Magenta has been trying to meet everyone she comes across, hoping to find a suitable partner who can help her bring in the next generation of Smiths. Sure, the locals are a little strange, but she definitely wasn’t prepared for this zombie attack on the night of the first full moon! Poor Magenta. Hopefully things will improve for her over the next few days. With all my Lego blogging having moved over to geeksdoingstuff.com, and my Pathfinder game happening at erratic intervals, I have been wondering what to actually blog about here! 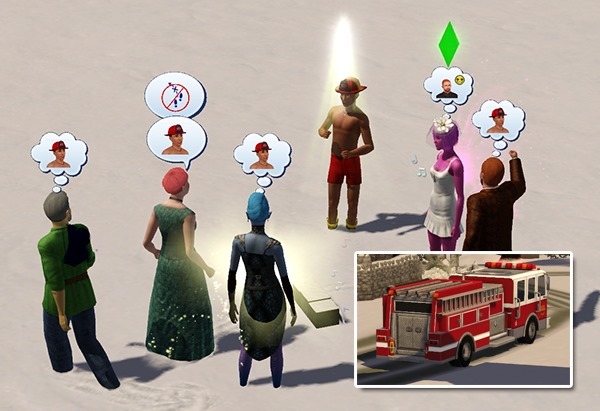 Then it came to me: The Sims 4 is coming out later this year, and I have yet to complete a legacy challenge in The Sims 3. You may be wondering just what a legacy challenge is. 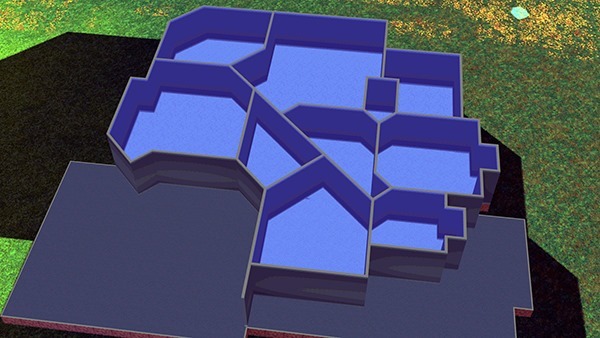 Simply put, it’s a long-term challenge involving ten generations of a Sim family starting from a single founder. No cheats are allowed, nor is moving to a new house, nor even creating your own Sims to marry into the family. You cannot increase your Sim’s lifespan by any means, and if your heir dies before producing a new heir, that’s it! 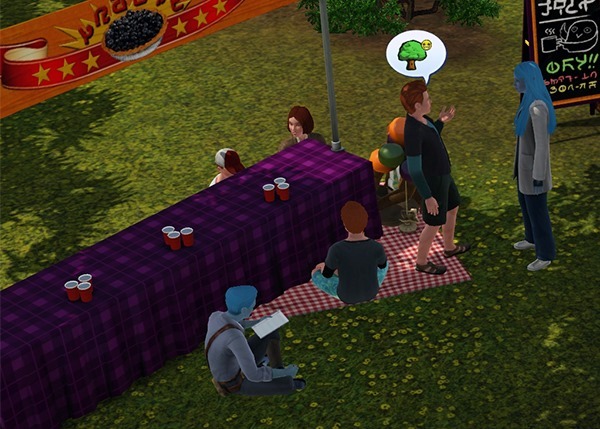 The full rules of the Sims Legacy Challenge can be found on this website. I’ve started a legacy before, but found myself interrupted by the arrival of new expansion/stuff packs for review, and the strange bugs that can sometimes cause. 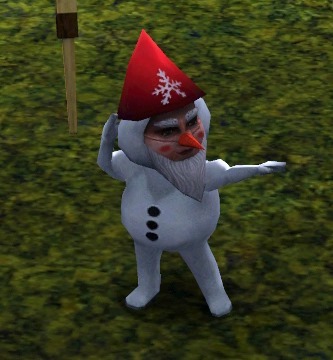 So now that there are no more expansions for The Sims 3, I thought it was time to finally attempt one of these challenges. Due to the limited amount of free time I seem to have these days, I’ll probably only be able to play the game for any hour here and there, but I’ll try tot update the blog as regularly as I can with my progress. I’ll also be discussing the specific rules/goals I’ve set for myself as I go. So, without further ado, I introduce you to my legacy founder, Magenta Smith. She’s a very pink fairy who really just wants to be a normal girl. Unfortunately for Magenta, the town of Dragon Valley is far from normal! She’s family oriented, good, a gatherer, artistic and nurturing. Hopefully this means she’ll be able to bring in the second generation of the Smith family without too many problems! Next time, I’ll be moving her into one of the biggest lots in Dragon Valley, and trying to find her some work, and perhaps a romantic interest.